This is the best video I have seen in awhile: Samantha Bee at the RNC, interviewing people about Mitt Romney’s views on abortion. So good. Who is ready for the return of Michigan football? I am, and I know the guy who made this is too: I Love You, Denard. I am waaaay guilty of taking food photos on my iPhone, but this is still funny. 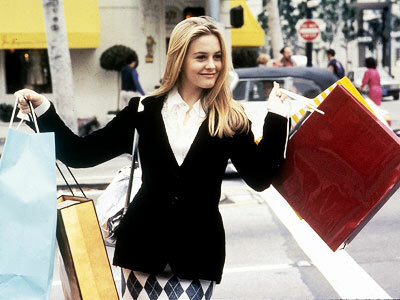 Everything I Need to Know, I Learned from Clueless. One, this is one of my all-time favorite movies. Two, this is totally true. See, especially, number 10. This website idea is brilliant: Dogshaming. I have mentioned before that DWTS is my guilty pleasure. This article, ranking the All-Star Season promo pictures, is hilarious. Fascinating: Class of 2016 Mindset List. And now I feel old. I want to know how people come up with ideas like this: a cat singing the Game of Thrones theme song. Funny and kind of disturbing. Questions I Have for Celebrities. I’ll add one to the list, for Ryan Seacrest: Why are you everywhere, and how do I make it stop? In need of more awesome in your life? Head to the Things That Are Awesome archives.